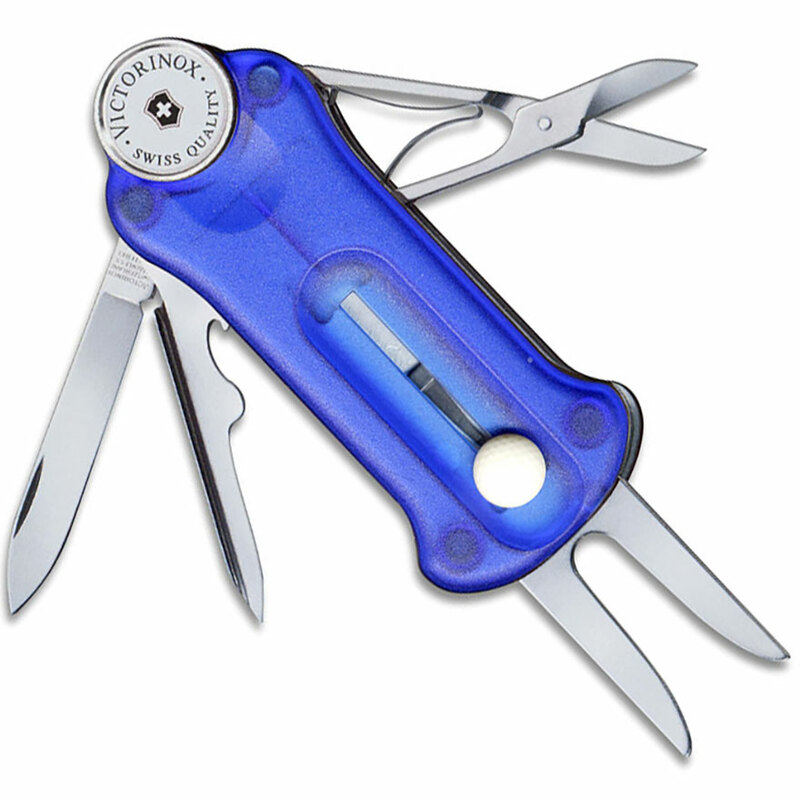 The illustrated Victorinox Tool is the Victorinox GolfTool that features a translucent sapphire frame. The components of this Golf Tool include a one hand locking divot repair tool, ball marker, blade, tee punch with groove cleaner, bottle opener and nail file, scissors, toothpick and tweezers. A black nylon clip carrying pouch is included with this Victorinox Tool. The Victorinox Golf Tool is 90mm long.